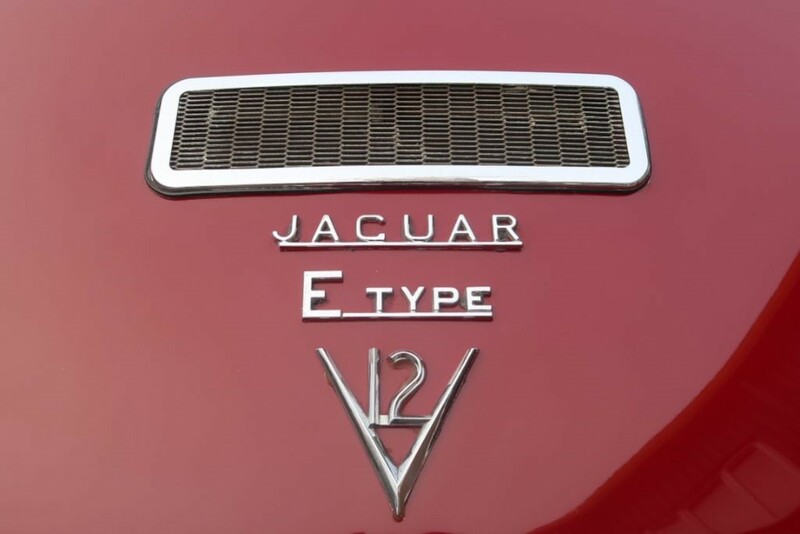 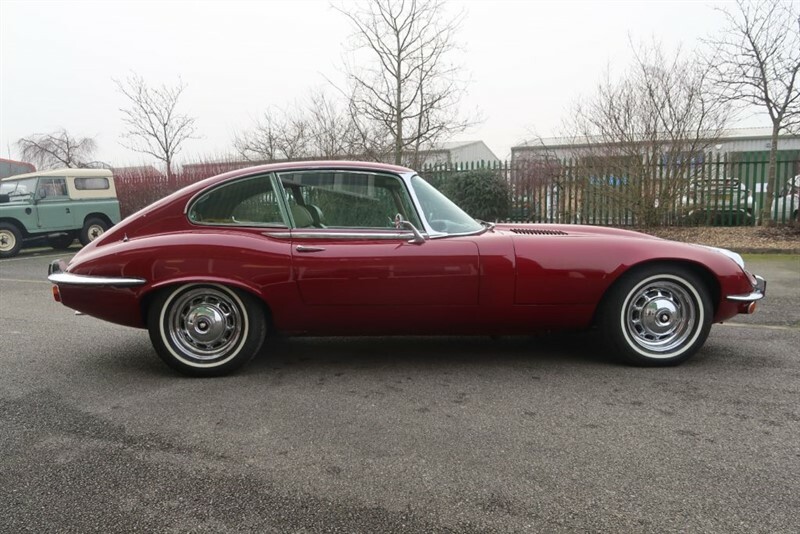 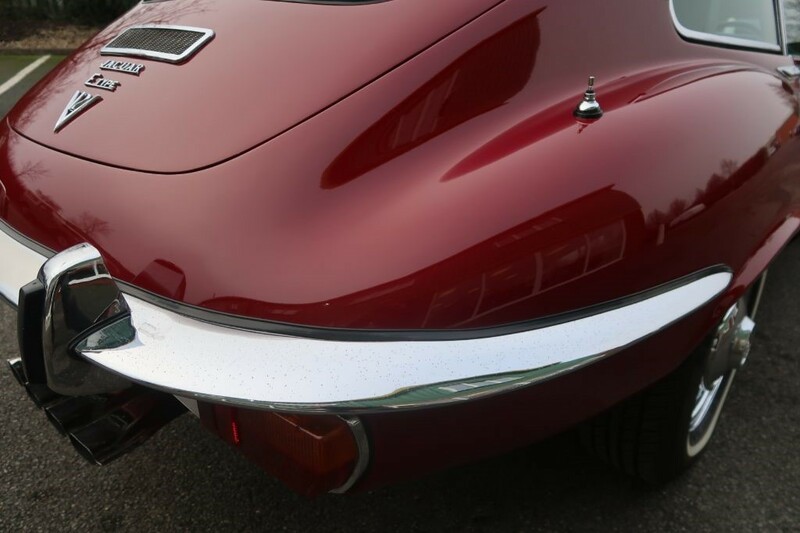 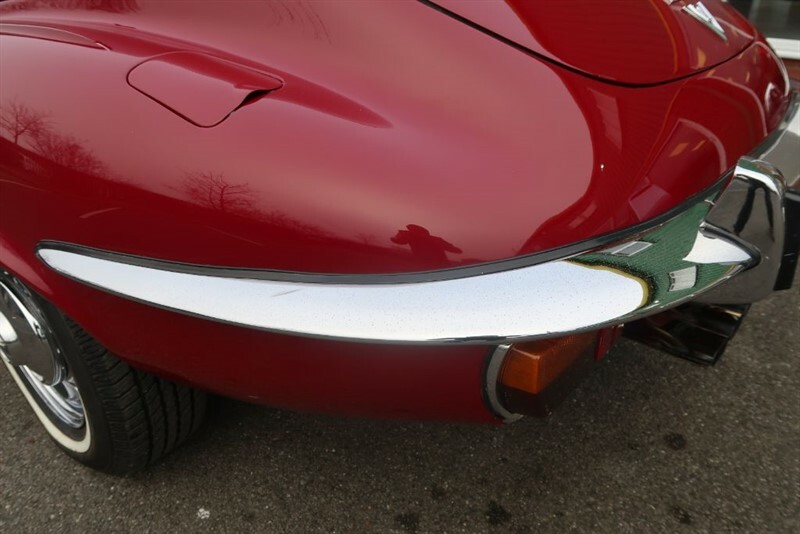 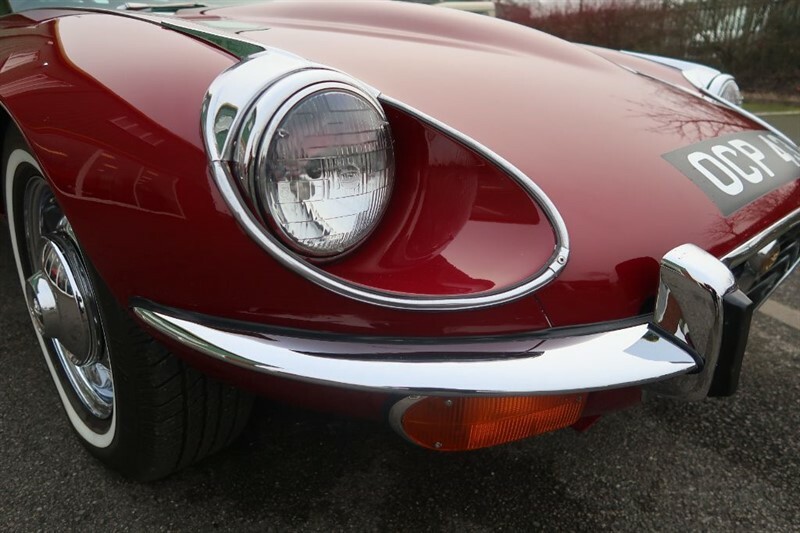 Described by Enzo Ferrari as 'the most beautiful car ever made' when launched in 1961, the Jaguar E Type, or XK-E, was a high performance sports car built in the UK. 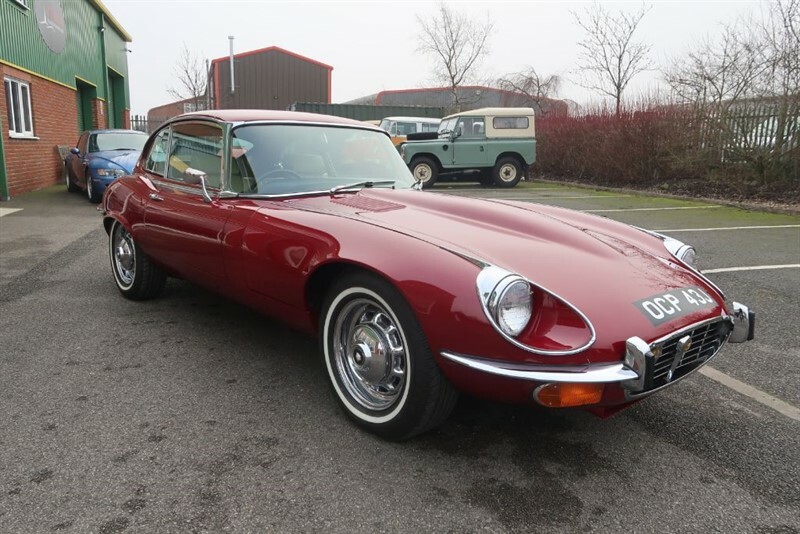 Its combination of beauty, high performance and competitive pricing quickly established the model as an icon of the motoring world. 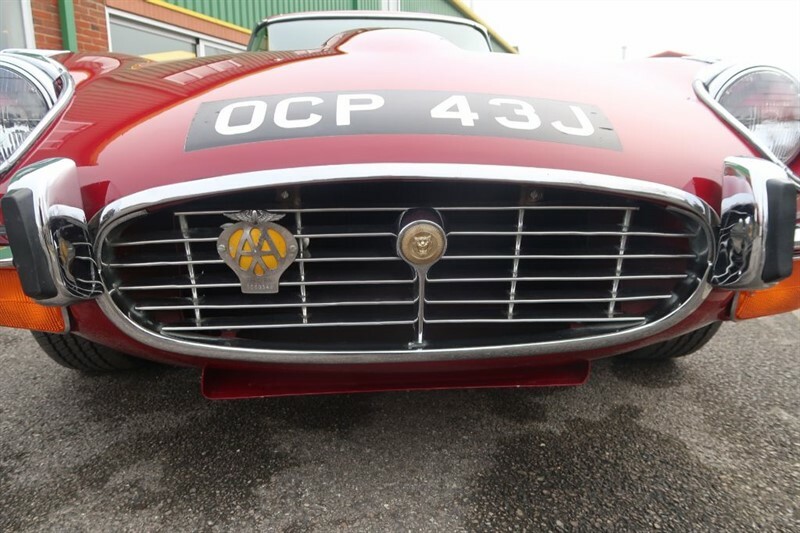 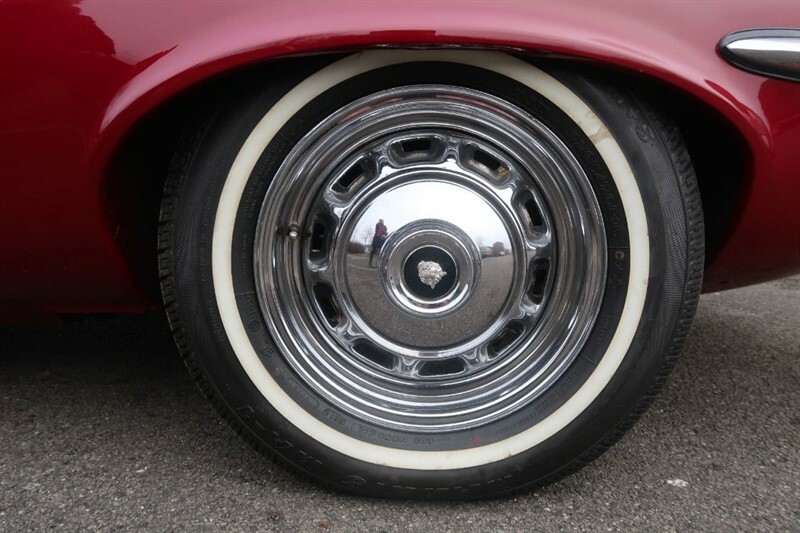 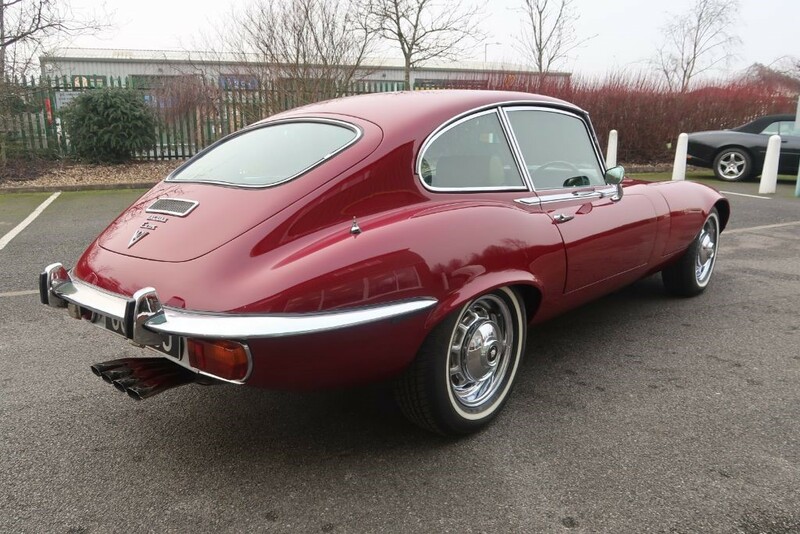 Available originally as a Fixed Head Coupe or Open Two Seater with a 3.8Ltr straight six cylinder engine all models had a monocoque body, rack & pinion steering, independent suspension and disc brakes. 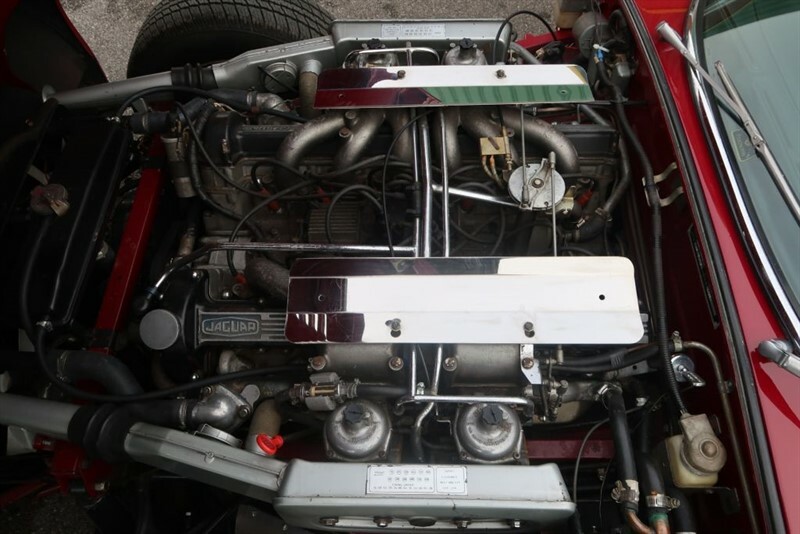 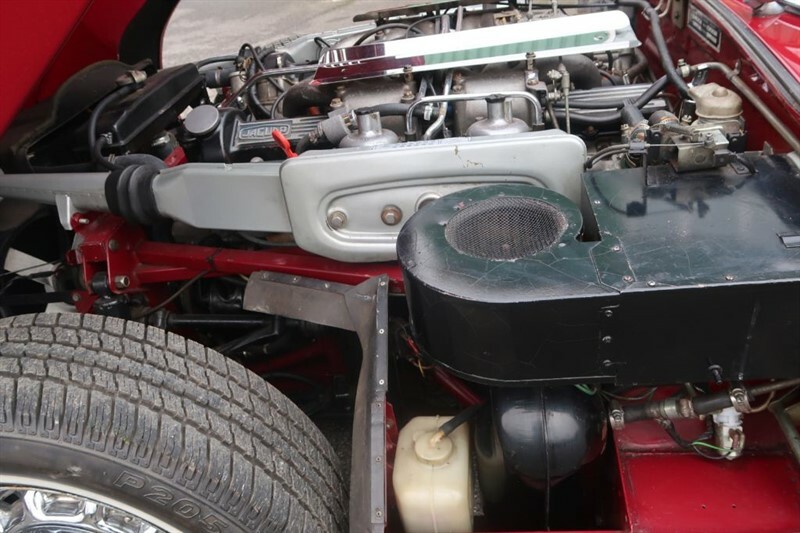 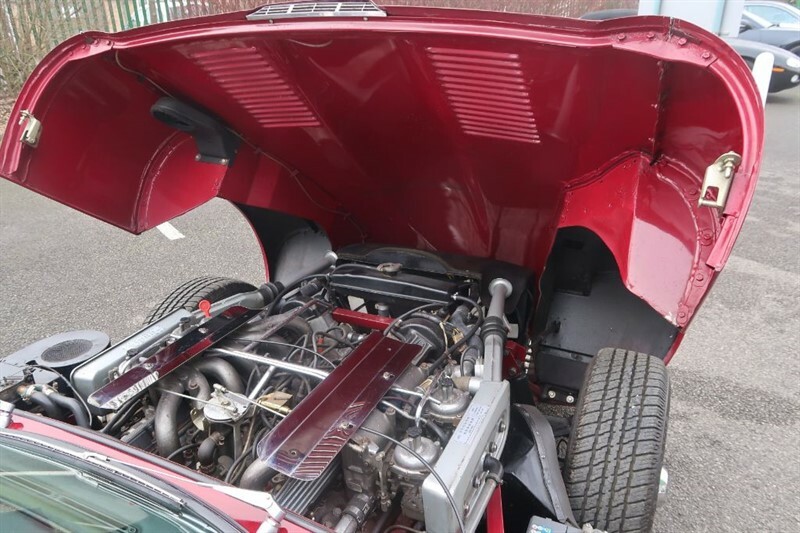 Later models had the larger 4.2Ltr 6 cylinder engine or the 5.3Ltr V12 unit. 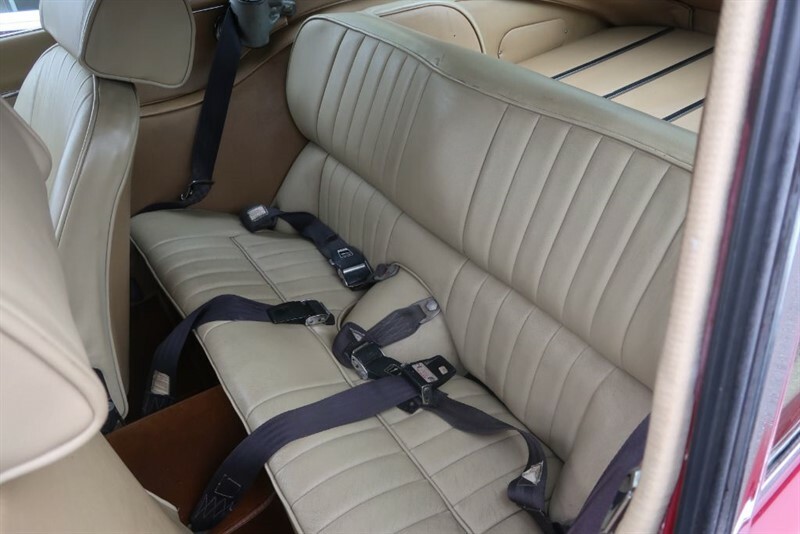 Automatic transmission was optional and a larger 2+2 body with rear seats was also available. 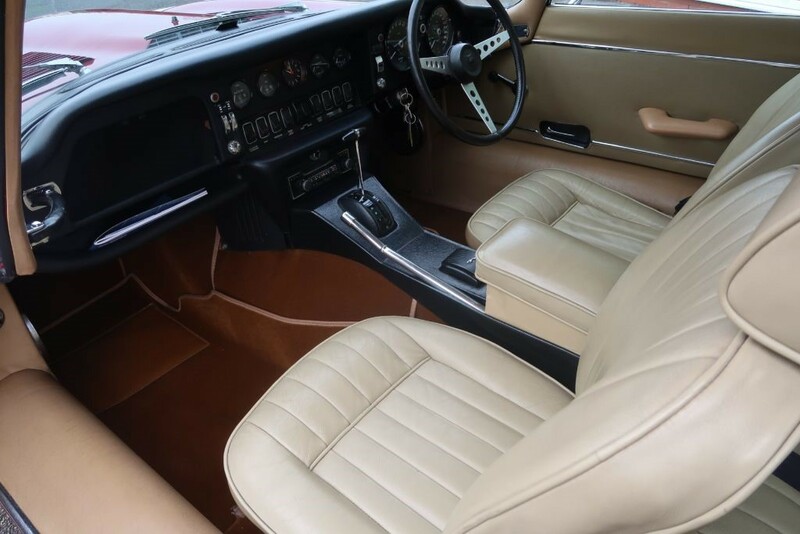 The car we are pleased to offer is a Series 3 2+2 fitted with the 5.3Ltr V12 engine with automatic transmission and power assisted steering. 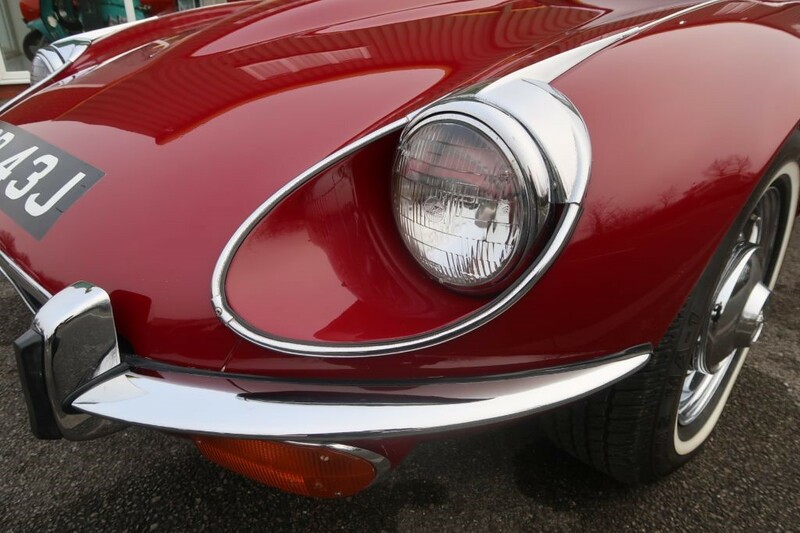 The Series 3 cars are easily distinguished by the larger cross hatch front grill, flared wheel arches and the large 4 exhaust tips. 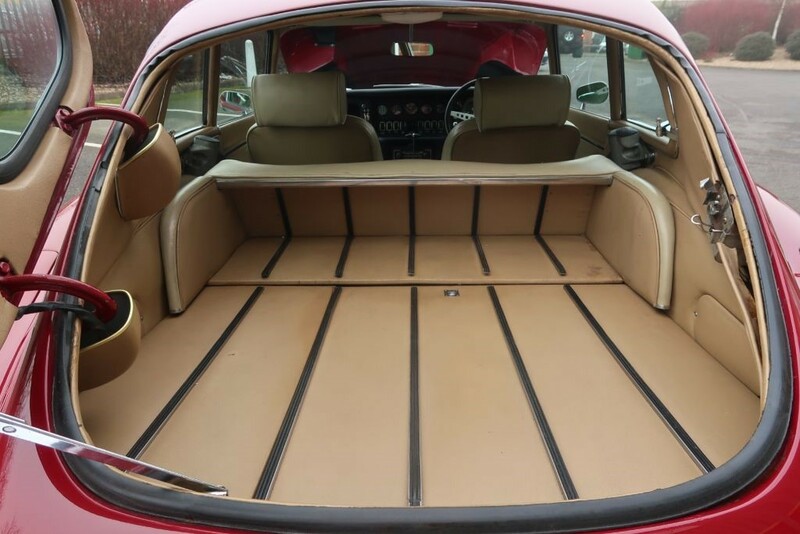 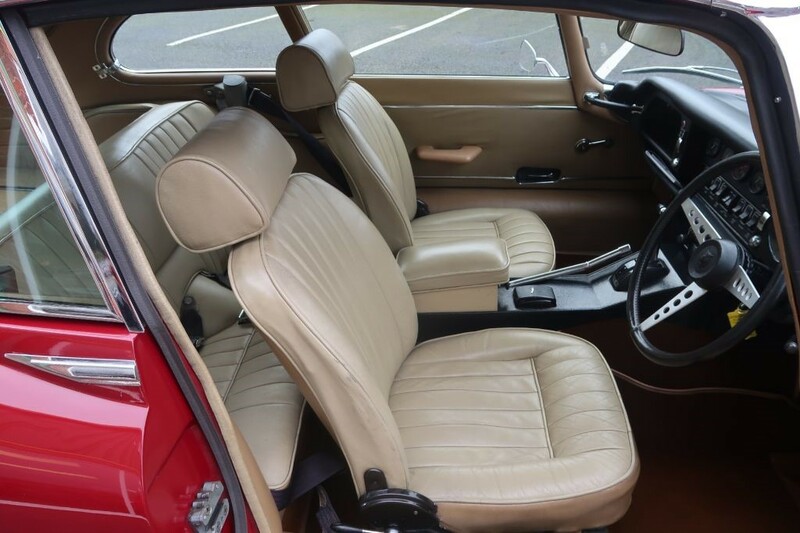 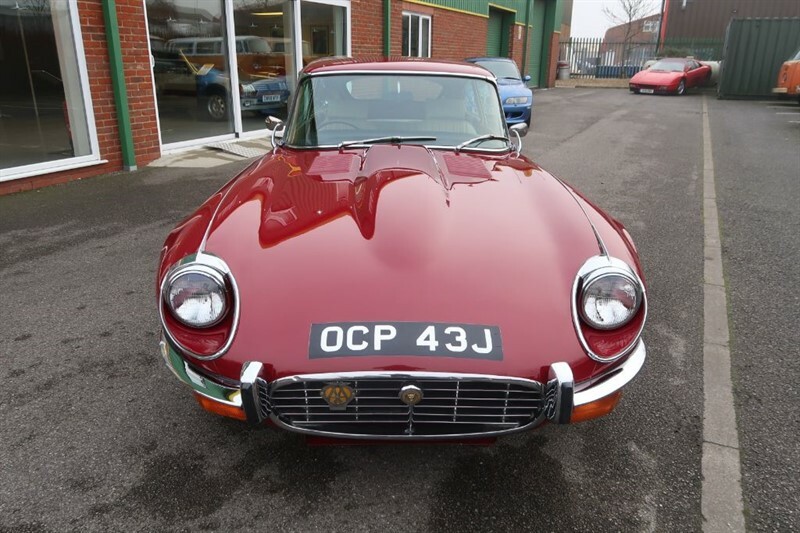 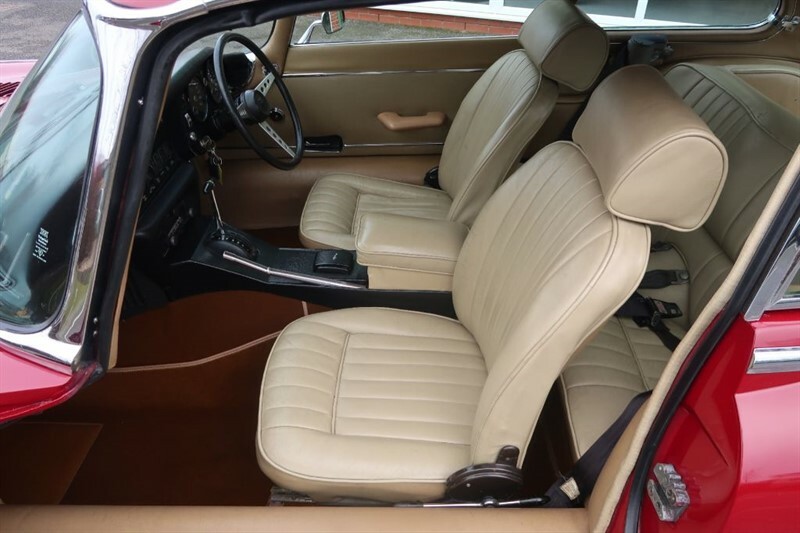 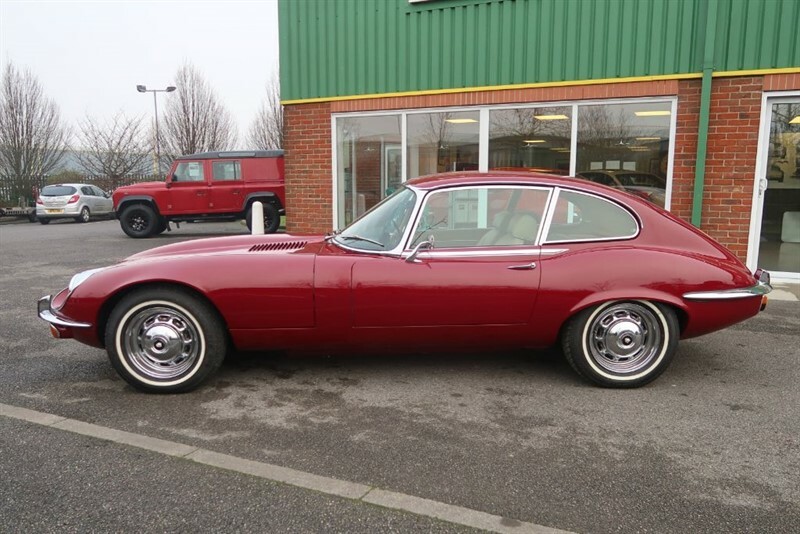 Finished in Regency Red paintwork with tan leather upholstery, our car was originally a left hand drive car built early 1971 and registered in the USA. 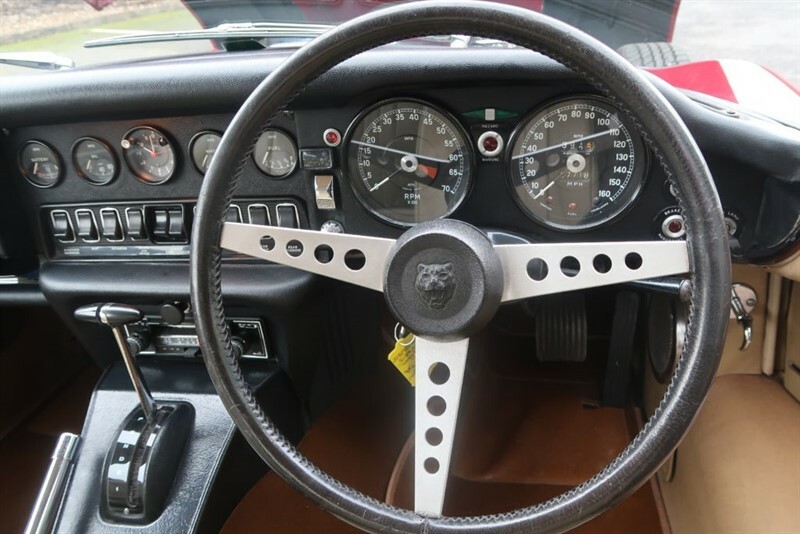 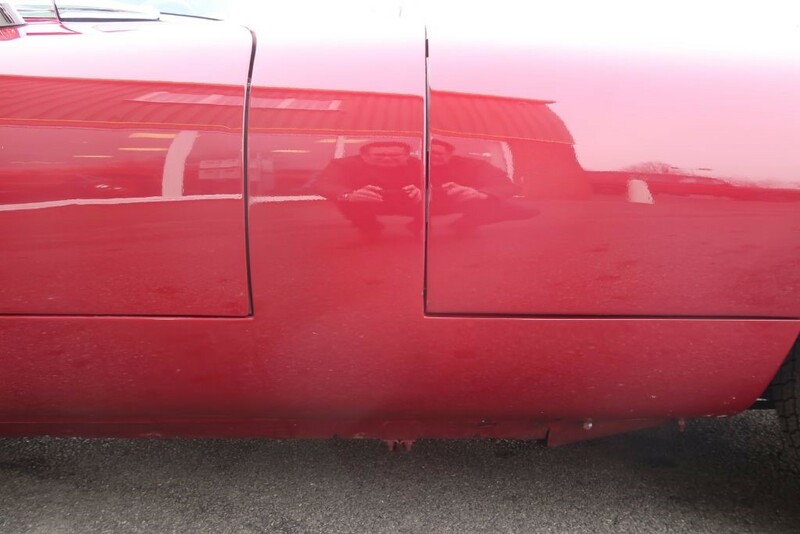 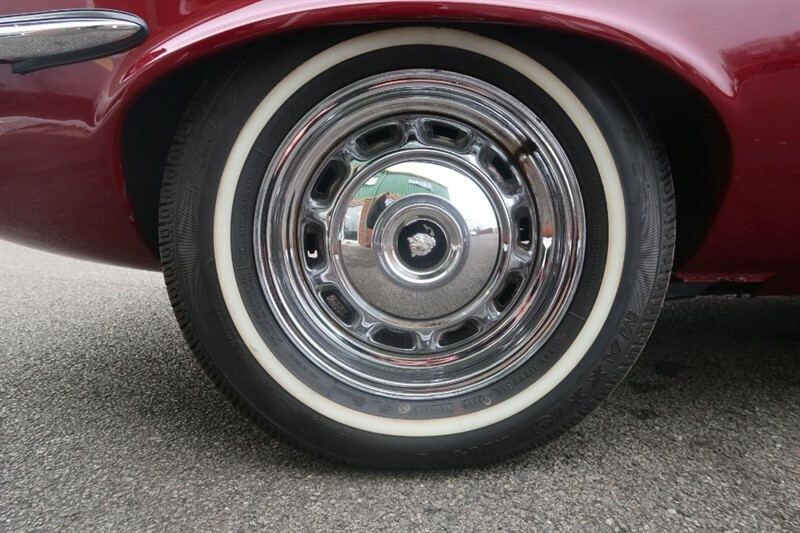 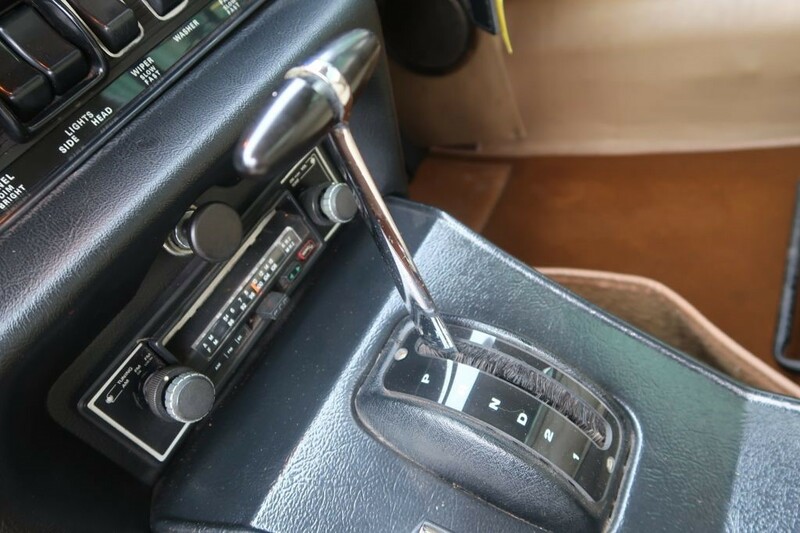 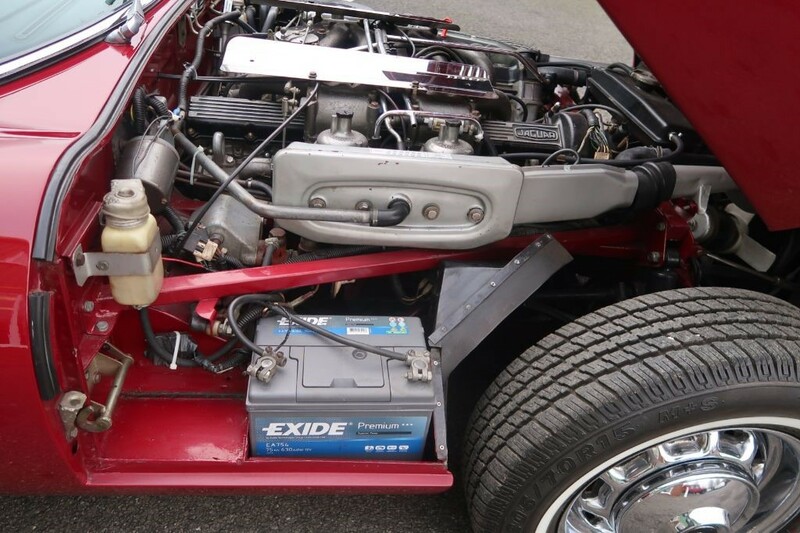 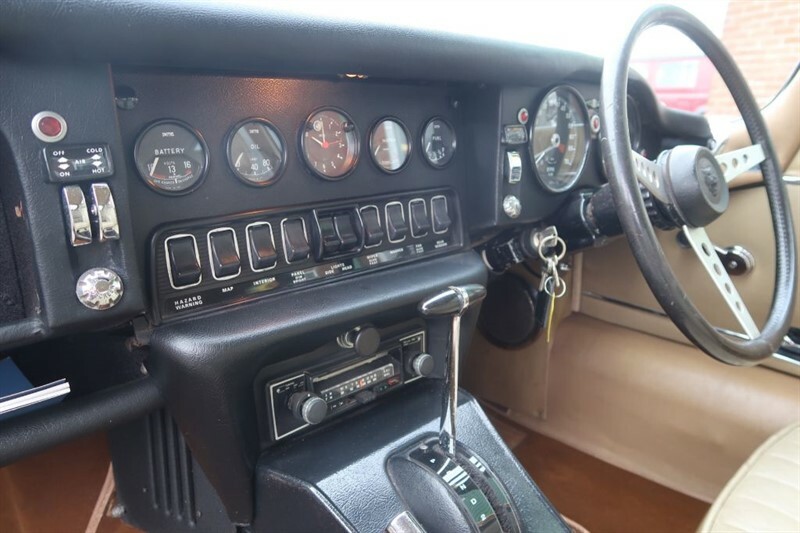 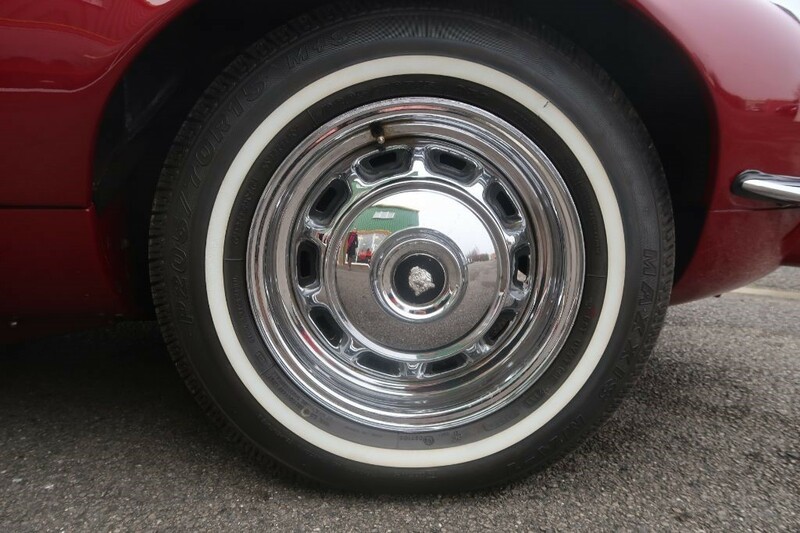 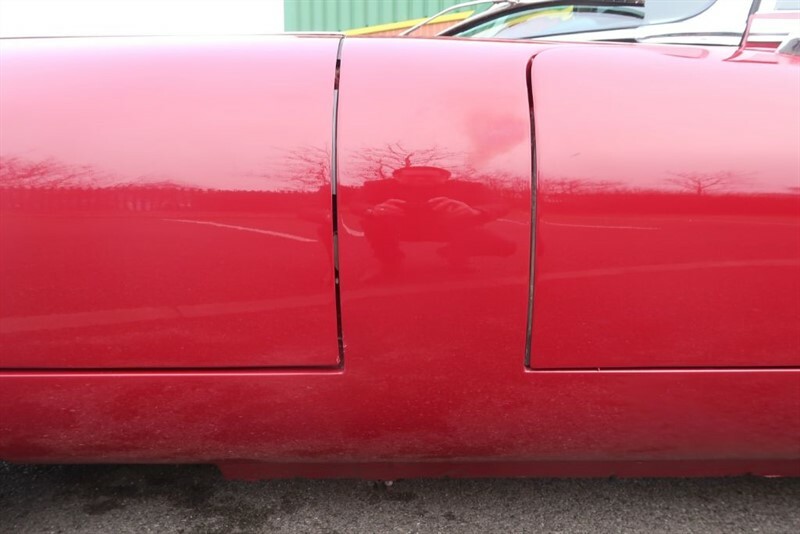 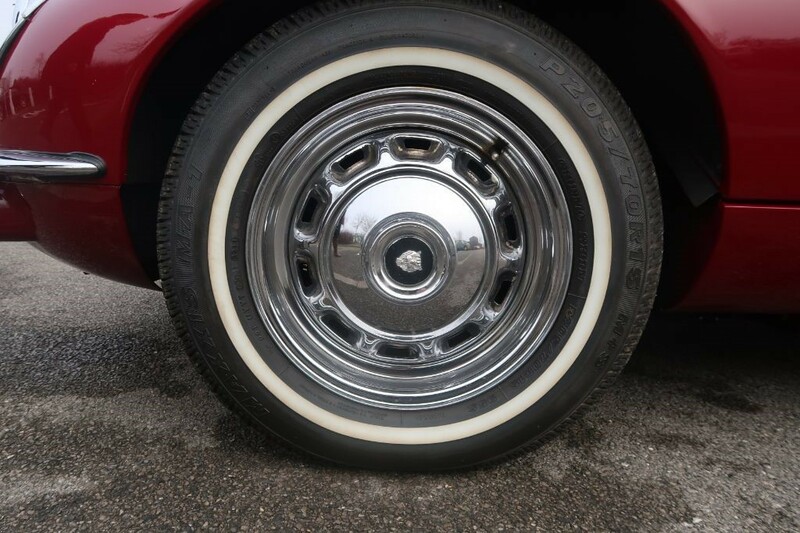 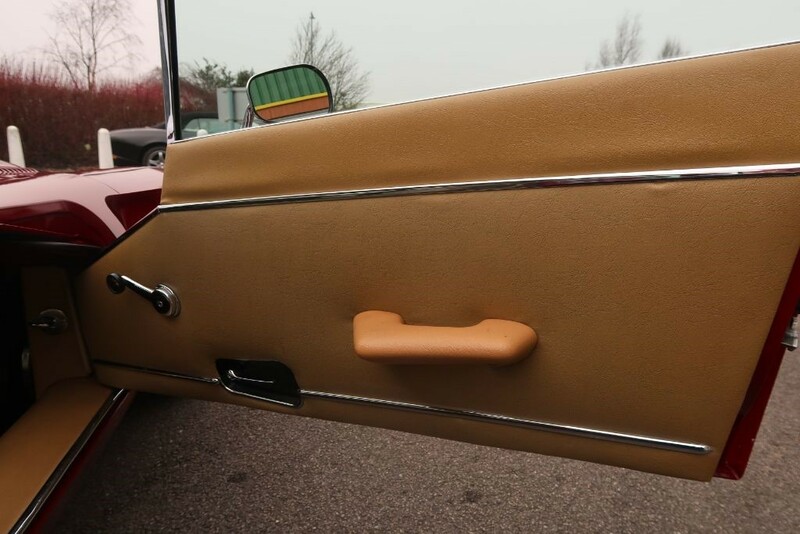 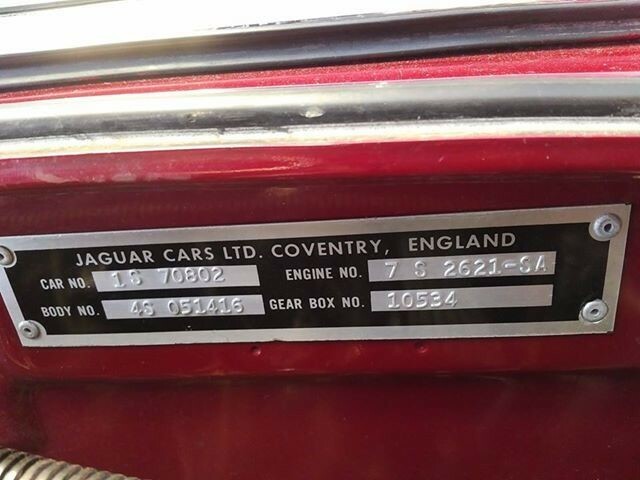 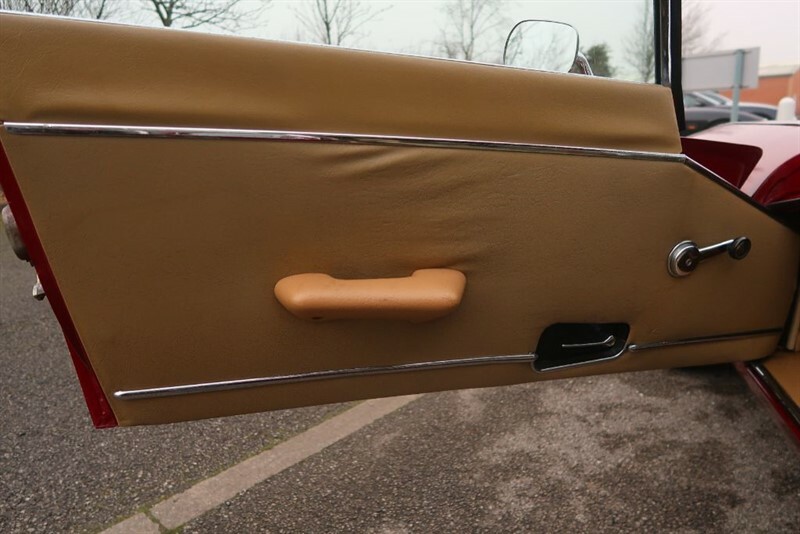 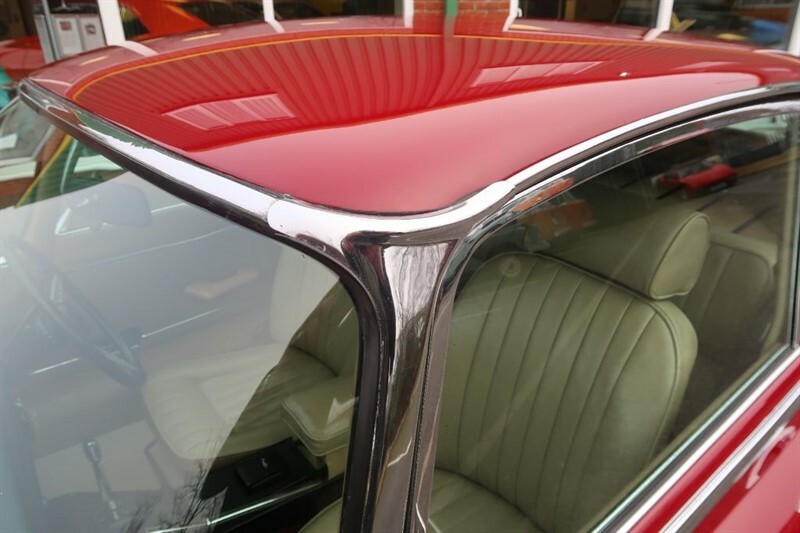 We understand the car was re patriated to the UK in the 80's and a local trader had the car restored and converted to right hand drive, a relatively common practice on these cars to this day and certainly the best option of avoiding the heavily corroded home market cars! 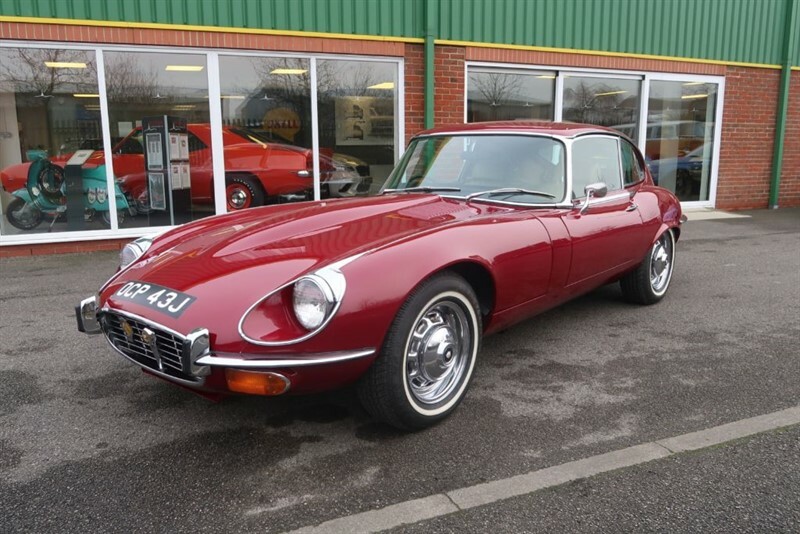 Following the restoration, in 1989, the car was sold to a local builder who amazingly never took delivery and left it in the dealers showroom for 24 years before selling it back to the dealer! 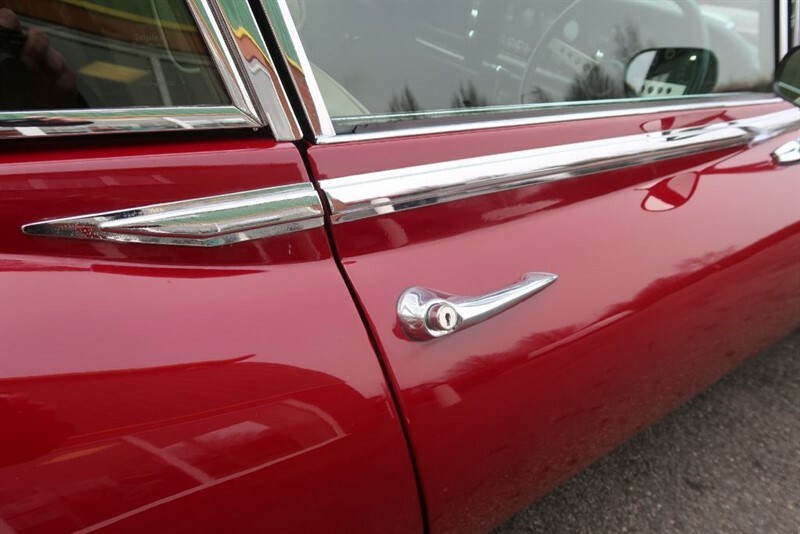 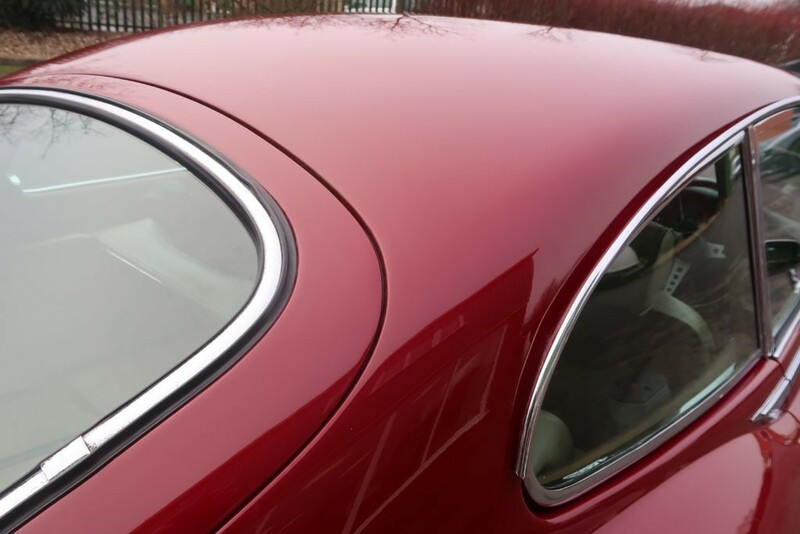 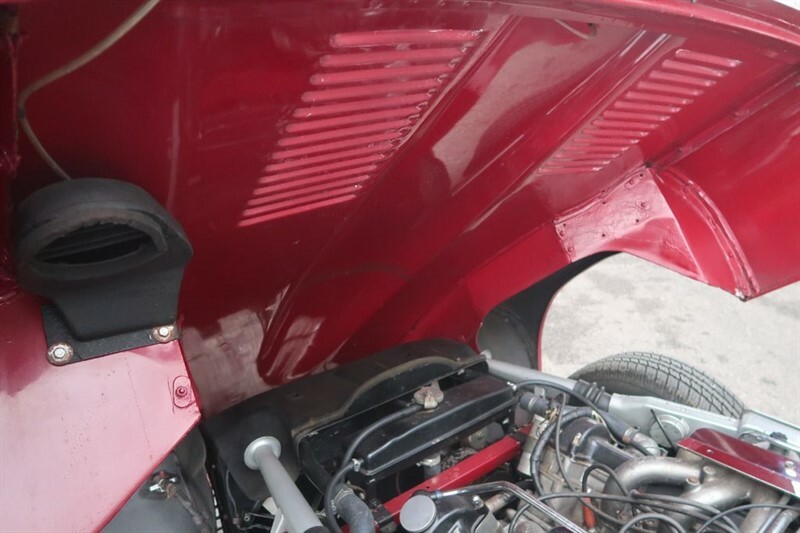 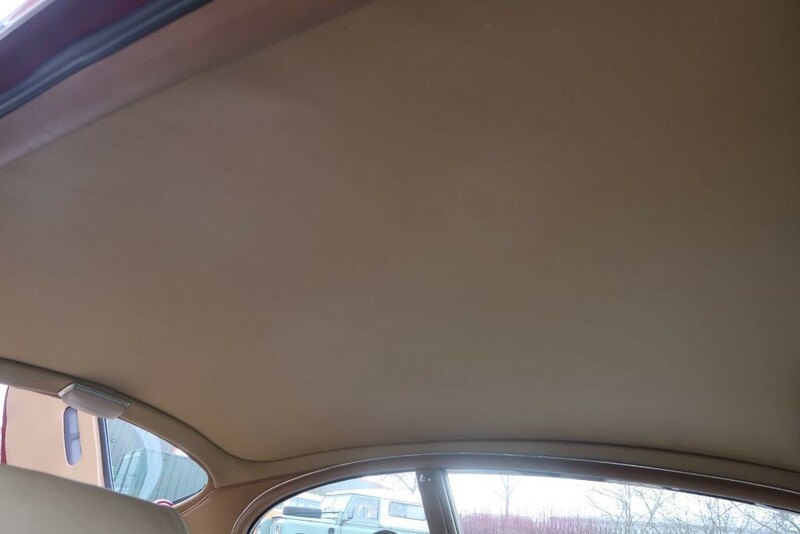 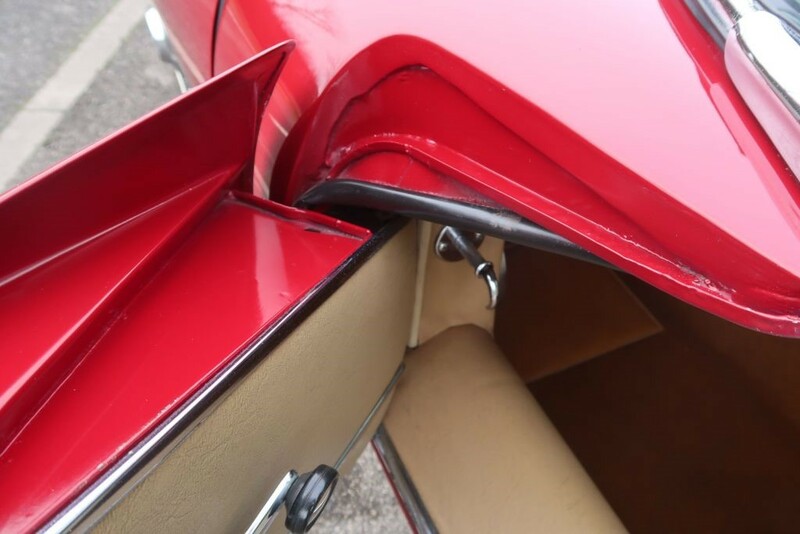 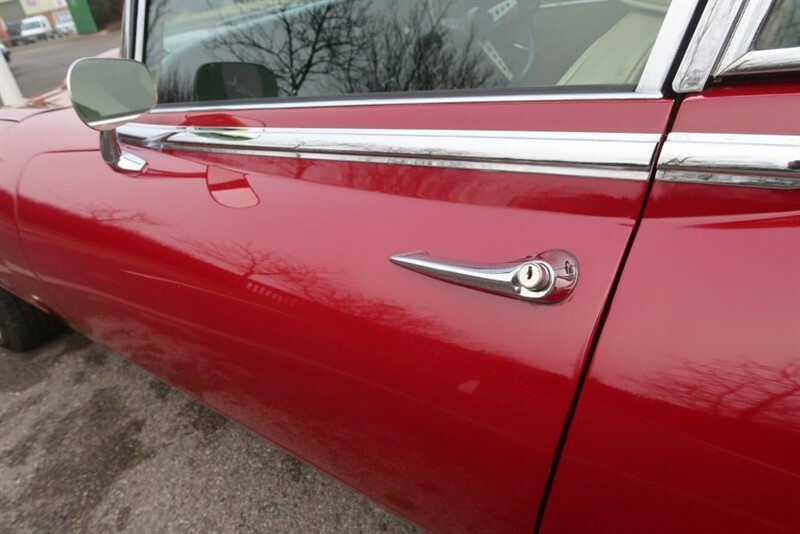 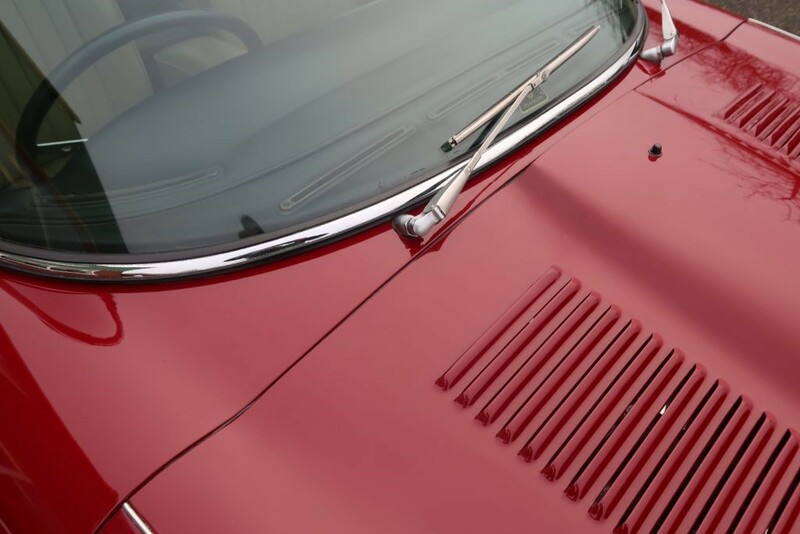 Benefitting from this older high quality restoration and the little use since, the car presents beautifully with sharp body lines with straight door and bonnet shuts complimenting the lovely Regency Red paintwork. 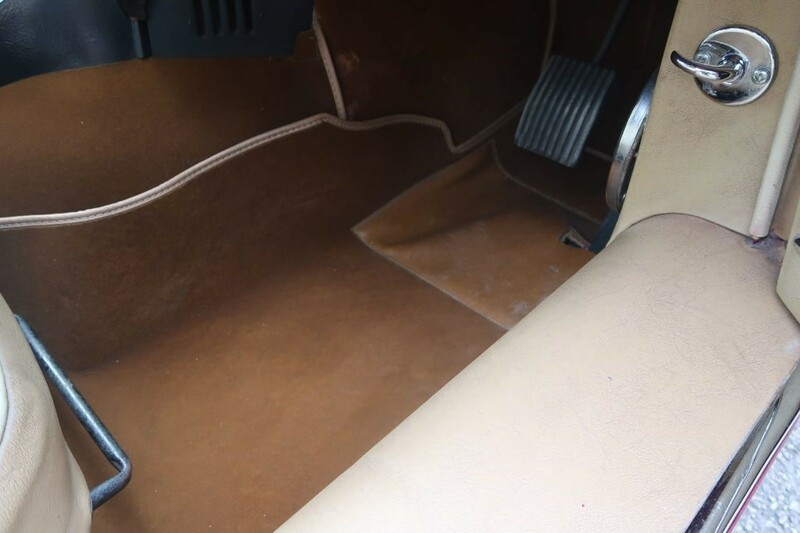 Inside, the leather and carpets are in very good order and show a nice patina, a new head lining has recently been fitted. 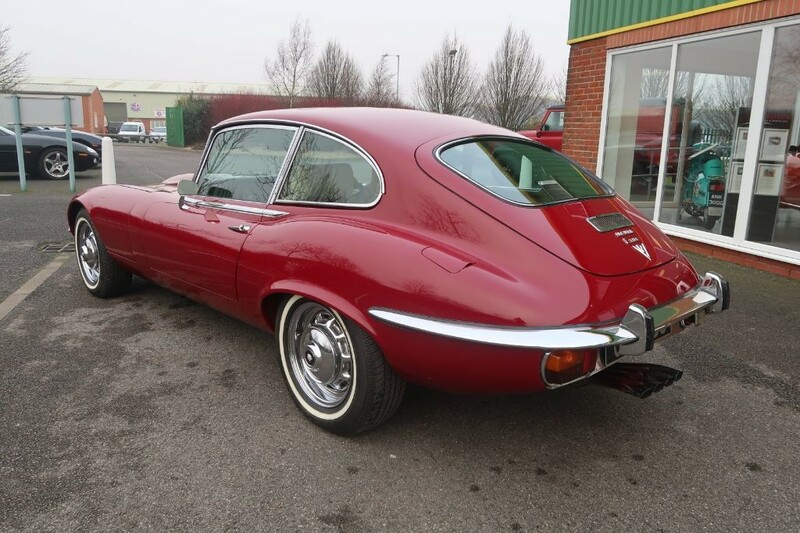 Mechanically, the rear axle has recently been removed to enable the brakes to be fully overhauled and the radiator has been re cored with the coolant hoses replaced and the anti freeze renewed. 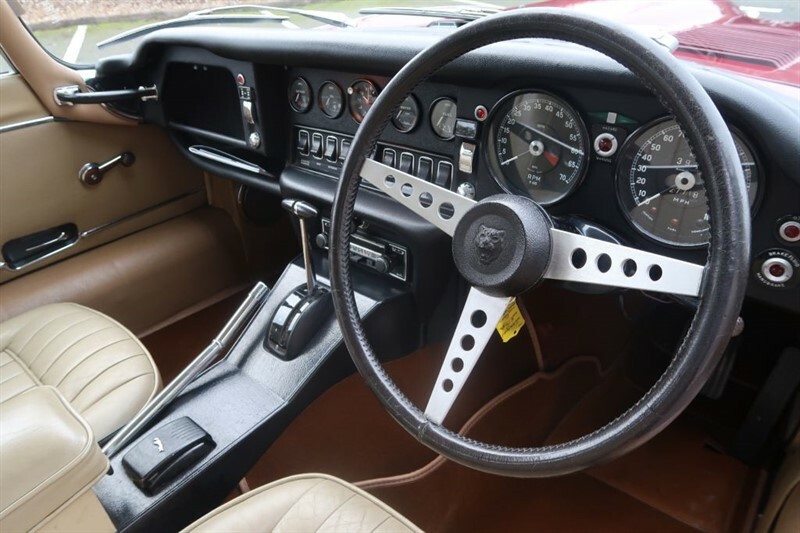 These later cars with automatic transmission and power assisted steering are much more user friendly than the earlier cars and in fact feel quite nimble! 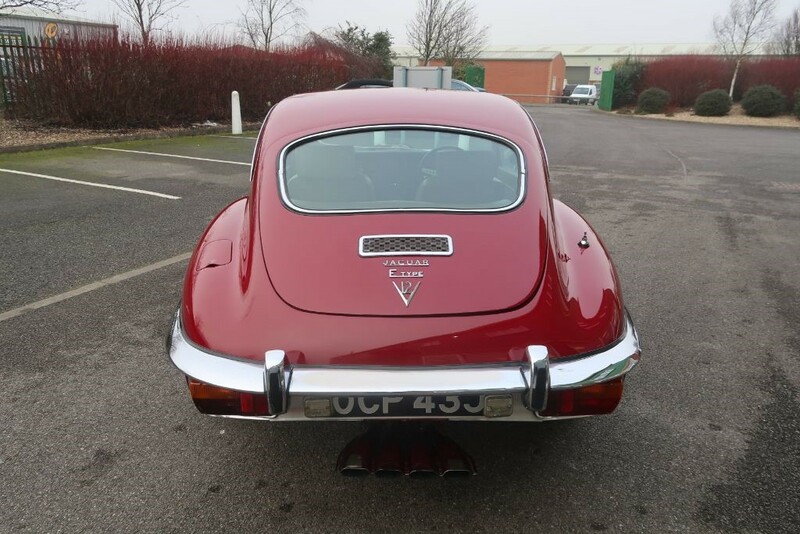 This one pulls well, steers dead straight ahead and, due to the recent works carried out, stops well too.